For more than two decades, Mark Jaccard has been penning "report cards" about Canada's environmental track record. The results haven't been pretty. His annual evaluations were harnessed in the mid-2000s by Stephen Harper as arguments for why the Conservatives deserved a shot at governing the country. Jaccard's latest report card, released on October 6, concludes the Conservative Party has since "implemented virtually no policies that would materially reduce emissions" despite making significant emissions pledges for 2020 and 2050. Jaccard concludes the absence of such actions shows "they must have had no intention" of dealing with climate change. Hand putting tick mark with red marker on poor customer service evaluation form. For more than two decades, Mark Jaccard has been penning "report cards" about Canada's environmental track record. The results haven't been pretty. Jaccard, a veteran professor in Simon Fraser University's School of Resource and Environmental Management, notes his annual evaluations were harnessed in the mid-2000s by Stephen Harper (then serving as federal opposition leader) as arguments for why the Conservatives deserved a shot at governing the country. Those report cards were used as "a way of saying 'look how incompetent the Liberals are, they haven't done anything on climate, we're not going to achieve Kyoto but let us get into power and we will set a new target in 2020 and implement regulations immediately to achieve that target,'" Jaccard recalls. The Conservatives eventually formed a minority government in 2006 and became the majority government after the 2011 election. Jaccard's latest report card, released on October 6, concludes the Conservative Party has since "implemented virtually no policies that would materially reduce emissions" despite making significant emissions pledges for 2020 and 2050. 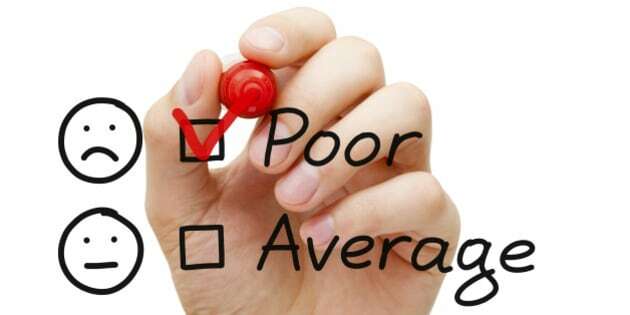 The five-page report notes the Conservative government has scored a "failing grade" for neglecting to introduce easily realizable policies in the sectors of transportation, electricity generation, construction and industry. Jaccard concludes the absence of such actions shows "they must have had no intention" of dealing with climate change. "I know there are a lot of people in the Conservative Party -- because they talk to me -- who are disgusted that the current leader is so against implementing policies that would have no political cost to him but would reduce emissions," he says. "I don't know what [Harper's] issue is, I don't try to guess what's in his mind, but he could do so much more." Of course, the Conservative government has consistently told a different tale, pointing to regulations on coal-fired power plants built after 2030 and vehicle energy efficiency rules as instances of action on the climate change front. However, Jaccard notes there are no new coal plants planned in the near future and that vehicle efficiency standards introduced under Prime Minister Harper don't have nearly the same impact as regulations introduced in jurisdictions like California. In short: the policies that Harper has introduced technically exist but are by no means enough to get Canada as close as it needs to be to emissions targets. "Any academic will give you the same answer I did," Jaccard says. "It's got nothing to do with partisanship." In the report, Jaccard outlines three primary reasons why politicians like Harper don't act on environmental policy: the absence of compulsory policies such as carbon taxes or sector-by-sector regulations, the global nature of climate change (requiring far larger jurisdictions such as China to cut emissions before seeing obvious impacts) and the absence of an independent monitoring service that provides feedback about progress. It's the latter factor that Jaccard has attempted to change with the annual "report card." Jaccard also notes his conclusions aren't born from a particular animosity towards conservative parties, pointing out that Gordon Campbell, long-time premier of British Columbia, introduced very effective climate change policies such as the Clean Energy Act while sharing similar ideological stances as Harper. Canada's 2020 target is now unachievable due to the country's laggard approach, Jaccard writes. The 2050 target, requiring a 65 per cent cut in emissions, would require "an almost complete transformation" of the economic system. As a result, every day counts. If the country opted for an economy-wide carbon tax -- a move favoured by many economists -- Jaccard estimates it would need to be introduced at $50/tonne, increasing to $150/tonne by 2020 (for reference, B.C. taxes carbon at $30/tonne). But for Jaccard, the technicalities of a future transition -- whether it's a carbon tax, cap-and-trade or sector-by-sector regulation -- doesn't matter so much as some sort of move being made. The longer the country waits, he warns, the more economically catastrophic such moves will be given the potential stranding of fossil fuel assets and compounding of climate change-related costs. "If the Conservative Party had overthrown [Harper] in the last year, I would be saying 'let's see what they do,'" Jaccard concludes. "But because they have not and given the idea of him continuing as prime minister, any of the other parties would be better."